Actor and perpetual Halloween costume-wearer Johnny Depp is currently embroiled in a lawsuit with his former business managers, and the whole thing keeps revealing ridiculous tidbits about the performer's absurd spending habits. Earlier this year, we learned about his $30,000-a-month wine budget, and now things have gotten weirder. You don't get to be Hollywood's most overpaid actor two years running without making some serious coin, but Depp has been blowing cash on all sorts of ridiculous expenses. Among them is a sound guy that he allegedly keeps on retainer for six figures so that he doesn't have to memorize lines. The Management Group have recently made the shocking revelation in a new cross-complaint, as pointed out by The Hollywood Reporter. 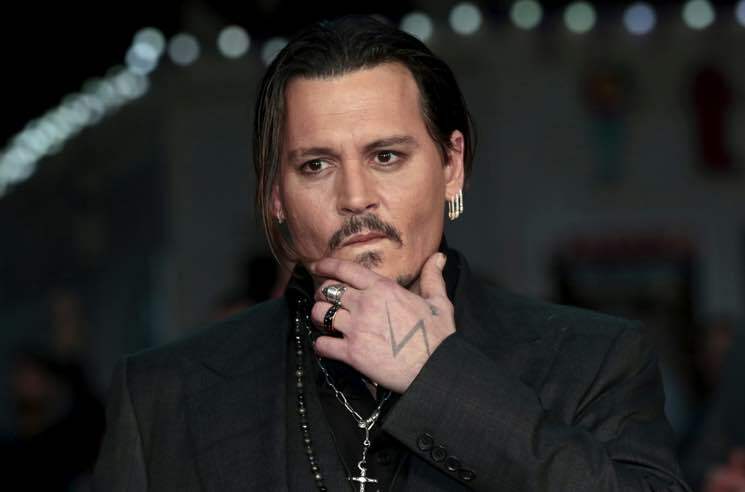 "Depp insisted that this sound engineer be kept on yearly retainer so that he no longer had to memorize his lines," attorney Michael Kump wrote. While the sound engineer's exact salary was not stated, the secretive job is reportedly worth hundreds of thousands of dollars a year. The Management Group went on to describe Depp's sense of entitlement as "clear and epic." The actor allegedly spends $200,000 a month on private planes, $150,000 on private security and $300,000 a month on his 40-person staff. Further, he has allegedly spend $75 million to maintain 14 homes around the world, including a chain of islands in the Bahamas. He also bought a 150-foot yacht, and enough art and memorabilia to fill 12 storage facilities. Depp initially sued The Management Group claiming that they had mismanaged $25 million in funds, though they're fighting back to say that any of his financial woes were of his own making.